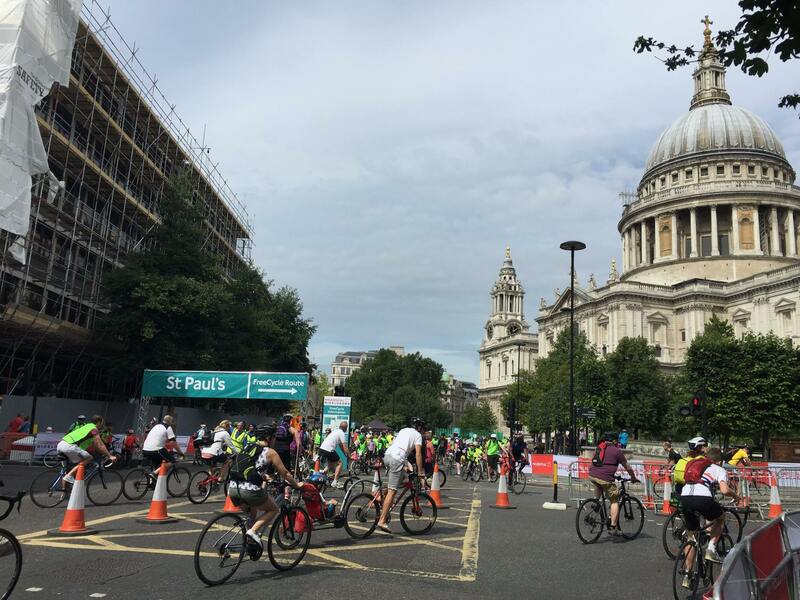 Last weekend saw the 3rd year of London’s cycle festival – Prudential RideLondon; with the FreeCycle on Saturday and the 100 Mile to Surrey on Sunday. 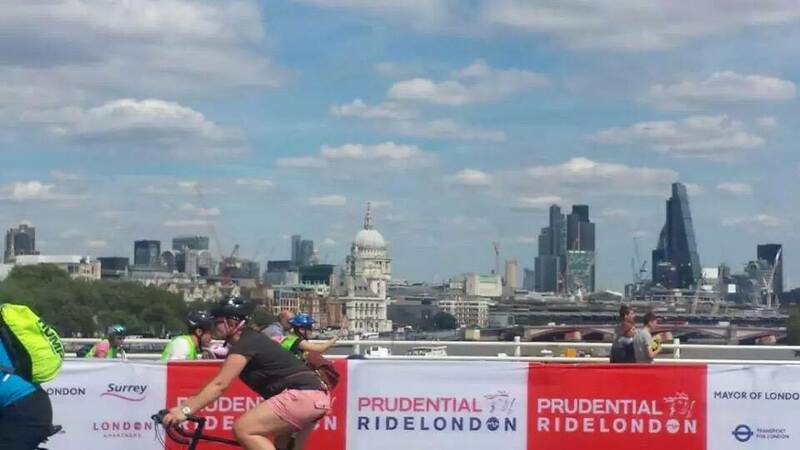 The Mayor of London called this year’s Prudential RideLondon festival of cycling “the greatest mass-participation cycling event in the world”. 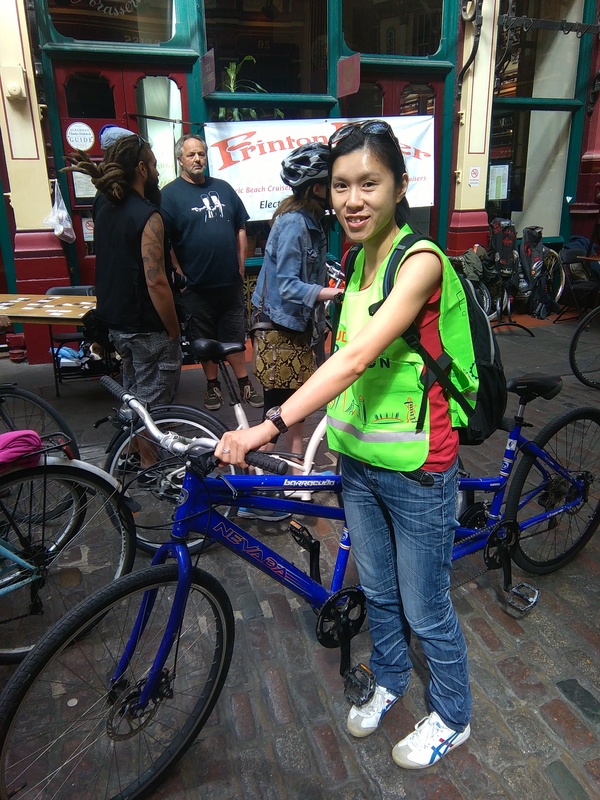 This year I finally got to take part in the FreeCycle event and as usual I love trying out new fitness especially when I am not a cyclist. I really planned well in advance making sure I got to ride my Tandem, so I really did! It is not everyday you get to cycle in London traffic-free so I wanted to make the most of it. Arriving at the bike shop just after 9am, my friends and I collected our bikes. Getting there early meant that we had a choice of tandem bikes as we were the first to collect. I was really happy with what we got, the gears was good and it felt comfortable to ride. 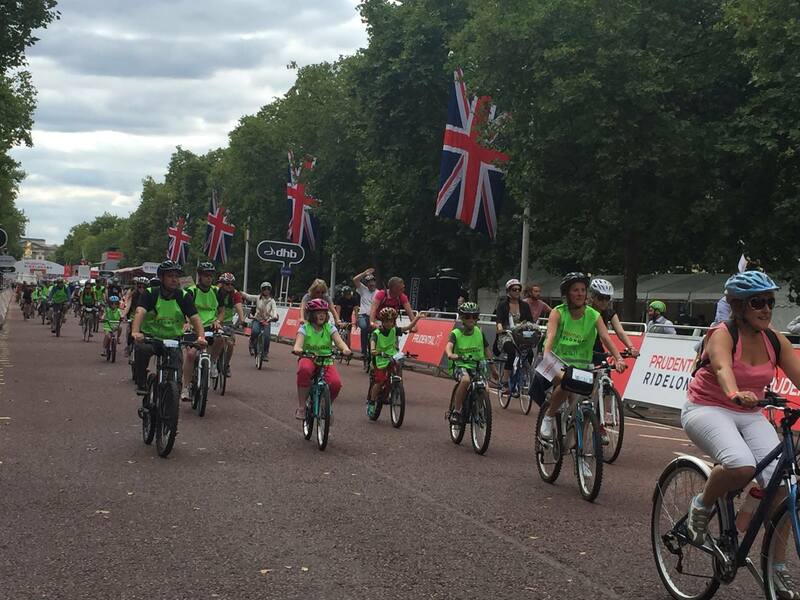 The FreeCycle is a free event giving the opportunity for families to get involved, where they can experience the fun and freedom of traffic-free cycling on the streets of London. 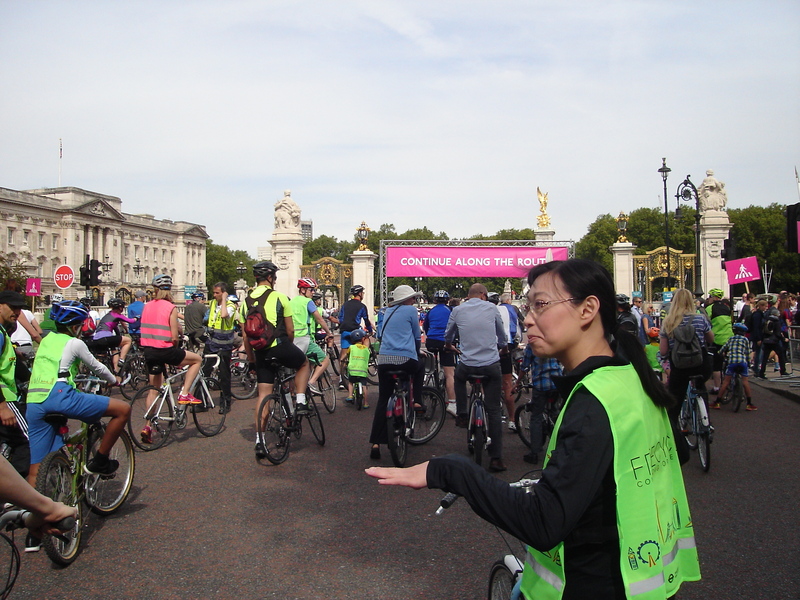 The route featured some of London’s iconic landmarks from Buckingham Palace to the Bank of England, Houses of Parliament and St, Paul’s. 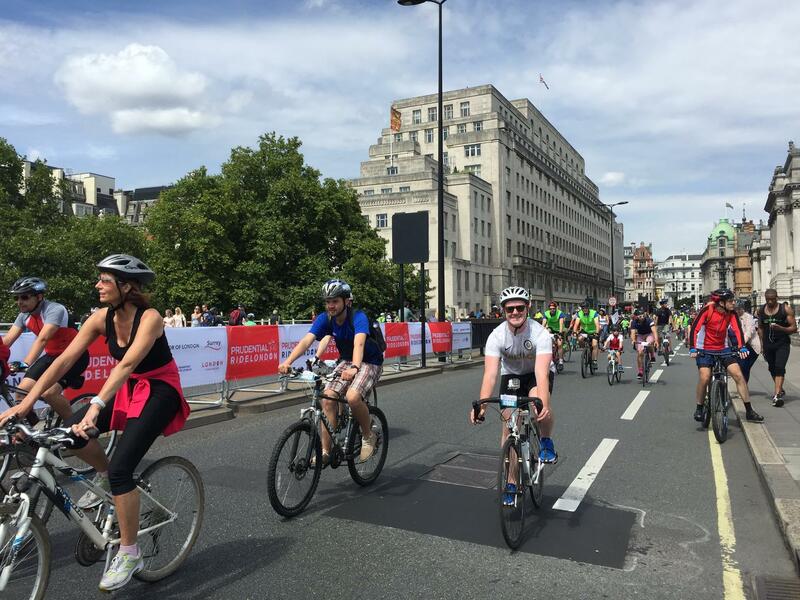 As well as the great cycling experience, there was also music and entertainment along the way with music zones, bands on bikes, Penny Farthings, and bike doctors on hand for any technical problems. This came in really handy as I experienced a flat tyre. The route opened at 9am and there was no limits of how many laps you could do. 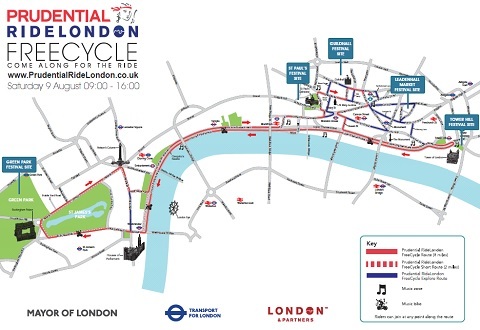 You could also enter and exit at any point of the route. 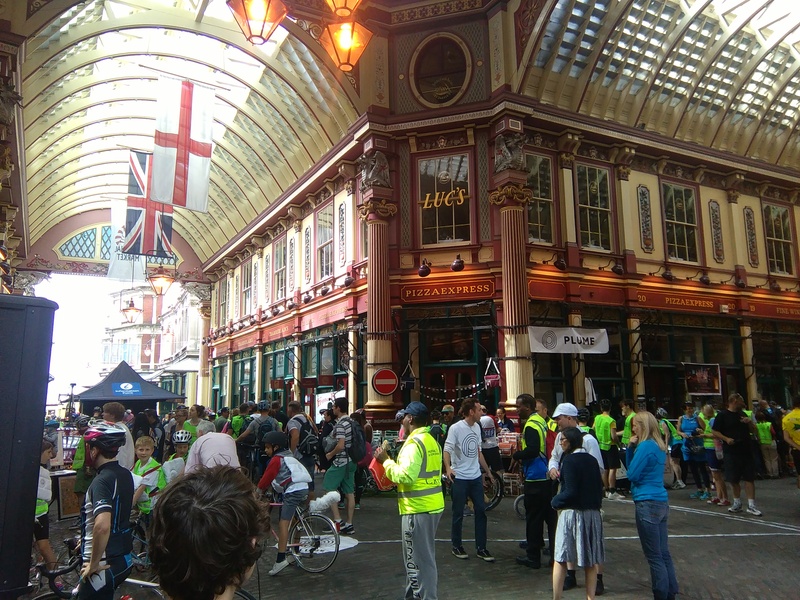 This year also featured the extra explore route (covers Cannon Street and Monument) as well as the main 8 mile route. There were lots of activities for riders of all ages, abilities and interests and many bike-based entertainment at the festival zones. This was truly a memorial day of cycling where you get to explore London and an added bonus when we had such beautiful weather. I had an amazing time riding a tandem, a big thank you to my partner who had great control and with the combination of our good timings and rhythm working together. Will definitely do it again next year…can’t wait! Not many bike shops have Tandem bikes for hire in London, this is the company I used: – London Bicycle Tour Company, they also have a large selection of female, male bikes and a few tandems available.